HISTORY BUFF? 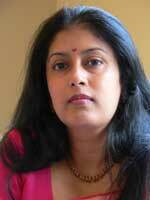 NOT NOVELIST INDU SUNDARESAN! Indu Sundaresan will be the first one to admit it. She is no history buff. Yes, despite the fact that her three books, including the recently released “The Splendor of Silence” (published by Atria Books), dip into the past. The Seattle-based author’s first two novels “The Twentieth Wife” (2002) and “The Feast of Roses” (2003) were about Empress Nur Jahan, wife of Emperor Jahangir. At one time, Nur Jahan was emperor in all but name of the vast Mughal lands that encompass modern-day Afghanistan, Pakistan, Bangladesh and a massive chunk of Northern and Central India. Though the books were a work of fiction, they delved into historical facts and details that Sundaresan had researched on accounts given by 17th-century travelers to Emperor Jahangir’s courts and the memoirs of Mughal kings. As for the latest, “The Splendor of Silence,” the author winds the clock forward by three centuries. ‘I wanted to write about the clash of Indian and American cultures in a time of war,” says Sundaresan. Indeed, it’s a heartrending tale of love and incompatible cultures. 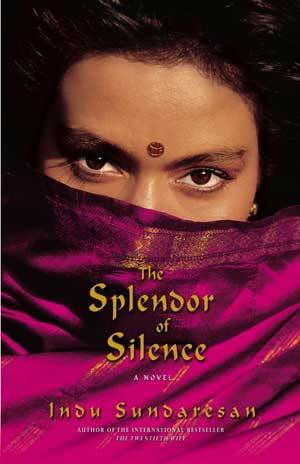 “The Splendor of Silence” begins in 1963 when Olivia, daughter of Captain Samuel Hawthorne and Ayesha Olivia Milana (Mila), receives a mysterious trunk of treasures from India with a letter from an unknown narrator. She learns that during an epic four days in May 1942, when the Japanese invaded Burma, an American soldier on a secret rescue mission and an unconventional young Indian woman betrothed to a prince fall desperately, tragically in love. Though the love affairs finds expression in the form of their daughter Olivia, the story is about intertwining lives of the characters – Sam and Mila, their love for each other, and why, in a country and a society poised on the brink of independence from British rule, they can never be together. So would we be safe to assume that her next novel also would be set back in time? You bet. But this time it’s back to the Mughals. “The story will begin about 40 years after Nur Jahan’s death,” she reveals.